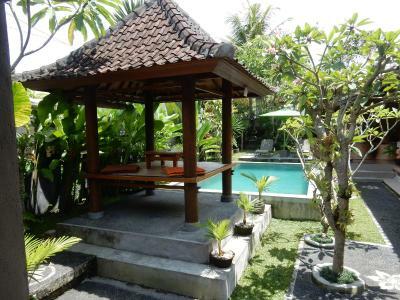 Lock in a great price for Rai Sawah Homestay 77 – rated 9.9 by recent guests! You can't go better than staying with Sari and Sigi. It's not even about hospitality, with them you feel at home and to us it felt like family straight away. The place is beautiful. Sari and sigi were very helpful and welcoming. 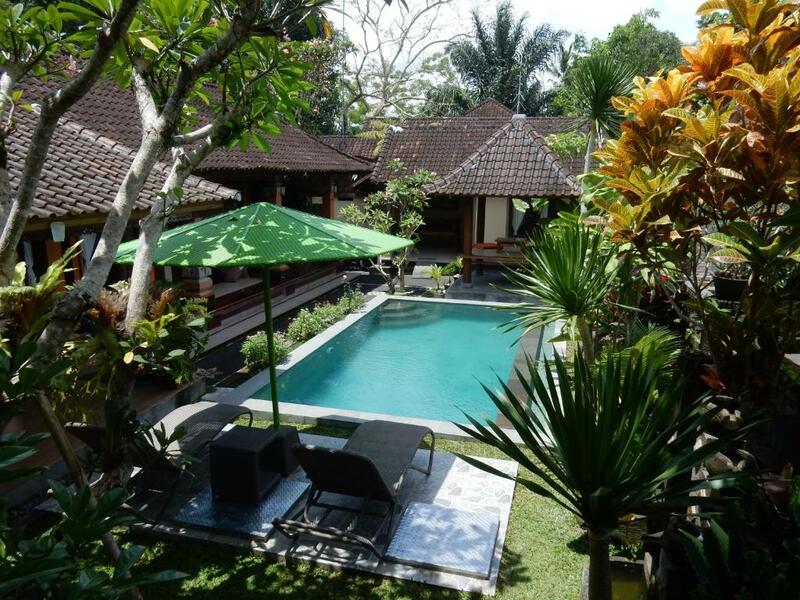 We agree with all other reviews - it is a must stay in Ubud. 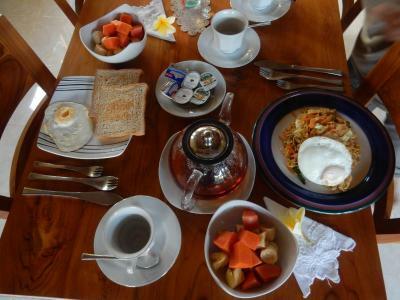 The couple is super helpful, the breakfast was excellent, the motorbike they rent was probably the best we had in Bali. They even provide laundry service and it was really well-done. Everything is extremely neat and clean. Ask them how to go to Mount Batur by motorbike - they'll show you a local road which is far more beautiful and helps to avoid traffic. Super friendly homestay - couldn't have asked for anything more! They helped us with everything and went above and beyond what we would expect. Generosity, kindness, flexibility, discretion, helpfullness, profesionalism, peace of mind.... so many words to describe our stay there. The room if great, the bathroom also ! The garden and the pool ? Don’t trust the pictures...they are even more beautiful in real life !! !Little paradise on Earth. The food ? Will make you want to have Saji’s breakfast for every meal ! 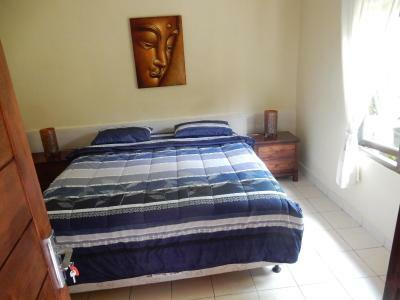 If you are looking for a great accommodation not far away from the center for a really good price : go for it !! 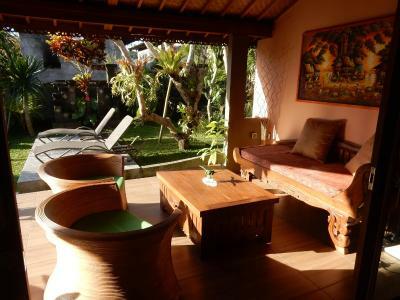 And if you are looking for a Balinese expérience of living happily and without any pressure : don’t miss it! Thanks for everything. Really ! 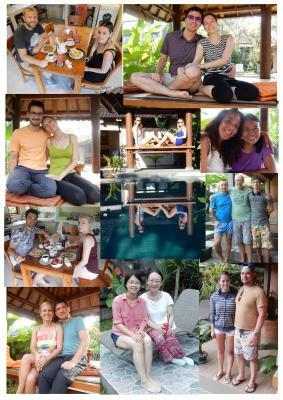 Sigi was a great host who offered us really nice experience in Ubud. He gave us a tour in Ubud and also great tips where we should go. For example the countryside was great. 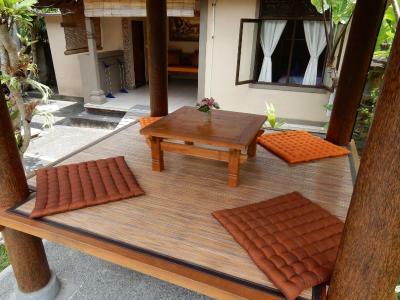 Great breakfast and maybe the best bed in Bali. Accomodation and the 'where to go' advice from Sigi and Sarinah. My advice, rent the motorbike and go sightseeing. Rai Sawah Homestay 77 This rating is a reflection of how the property compares to the industry standard when it comes to price, facilities and services available. It's based on a self-evaluation by the property. Use this rating to help choose your stay! 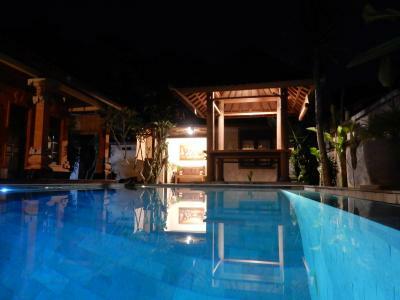 One of our best sellers in Ubud! 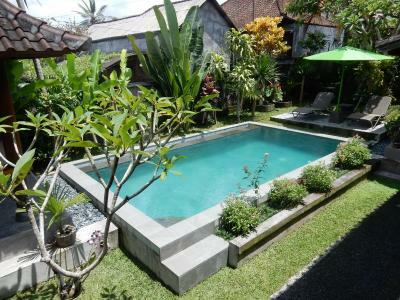 Rai Sawah Homestay 77 is located in Ubud and offers an outdoor swimming pool and a garden. 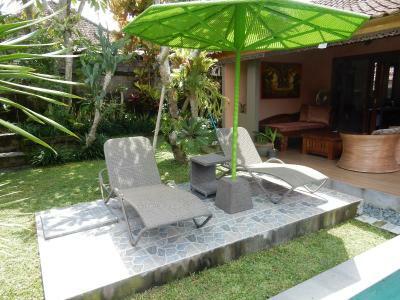 This family stay has air-conditioned accommodations with a terrace and free WiFi. With direct access to a patio, the family stay consists of 1 bedroom. 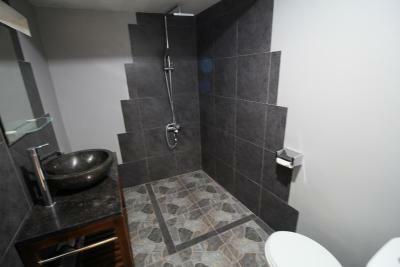 The family stay also provides a bathroom with a shower. A continental breakfast is available daily at the family stay. 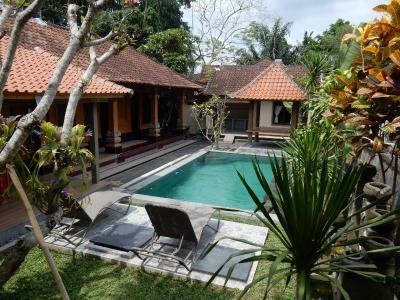 Ubud Market is 1.8 miles from Rai Sawah Homestay 77. 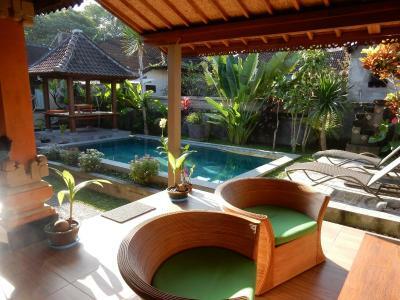 Ngurah Rai International Airport is 24 miles from the property. 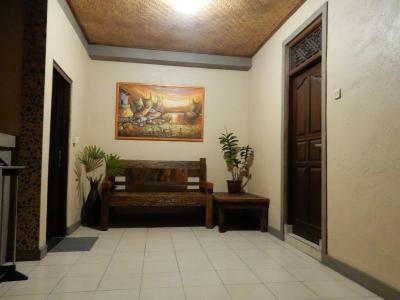 When would you like to stay at Rai Sawah Homestay 77? This holiday home has a seating area, barbecue and private pool. 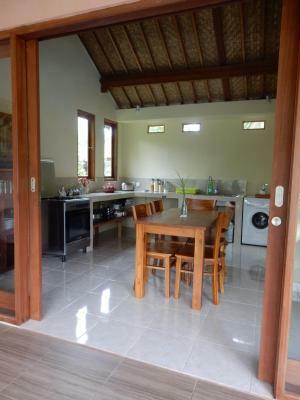 House Rules Rai Sawah Homestay 77 takes special requests – add in the next step! Please inform Rai Sawah Homestay 77 of your expected arrival time in advance. You can use the Special Requests box when booking, or contact the property directly using the contact details in your confirmation. Little peaceful gem with a gorgeous pool and wonderful & helpful hosts. We loved everything - especially breakfast was amazing! There's so much to say! We travel a lot and we've never felt at home anywhere like in this place. You really feel like a part of the family! Sigi and Sari are so hospitable, helpful and lovely. We had everything we needed and they were always there to make sure that we were happy and didn't want for anything. Sigi showed us around on the bike and made recommendations based on our interests. We also shared really interesting conversations until late in the evening. Sigi and Sari are genuinely interested in people. You get the best breakfast with the most delicious banana pancakes and nasi goreng I've ever eaten! We loved it so much that we had the breakfast for dinner one night as well! You get a lot for your money here in Indonesia but in this place you get even more! The service, the food, the facilities and the hospitality are priceless! We'll leave Rai Sawah with beautiful memories for life and the feeling of having made new friends! We're surely going to miss this place and this lovely couple that take you in like a part of the family! We never wanted to leave! Very friendly hosts. Great hospitality as well. all was perfect but if I have to mention something is that you need a transport (scooter or taxi) to go to Ubud downtown. The place is really nice and the owner (Sari) is amazing. Really nice, really helpful, lovely person. Everything is really clean and the breakfast is awesome. It is possible to rent a scooter and its status is really good. To chat with Sari is always a pleasure. She is a really nice person. Although it is a shared place in her villa, you can have your privacy.